Pseudomyrmex gracilis (Fabricius, 1804) "graceful twig ant", "elongate twig ant", or "Mexican twig ant"
"graceful twig ant", "elongate twig ant", or "Mexican twig ant"
Most of the species in the genus Pseudomyrmex make their nest in dead twigs or stems of woody plants, hollow stems of grasses, and various other natural or manmade cavities. A few of these species are uniquely adapted for living in live plant domatia, with the swollen-thorn acacias being a good example of this. 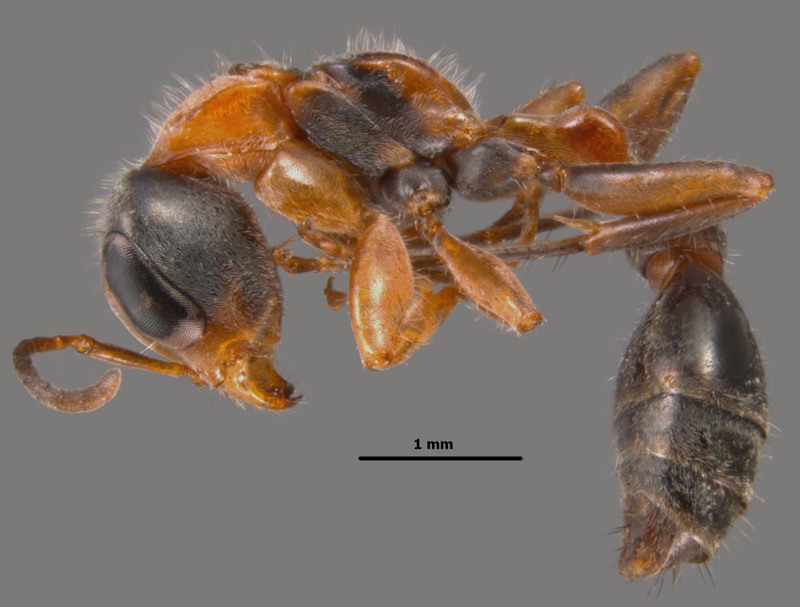 This genus is distinctive and can easily be distinguished from other US genera by the following characteristics: body elongate with postpetiole; eyes extremely large, more than 1.5 times as long as wide; antennal scapes short; 12-segmented antenna; relatively short mandibles with 7-10 teeth; sting present. 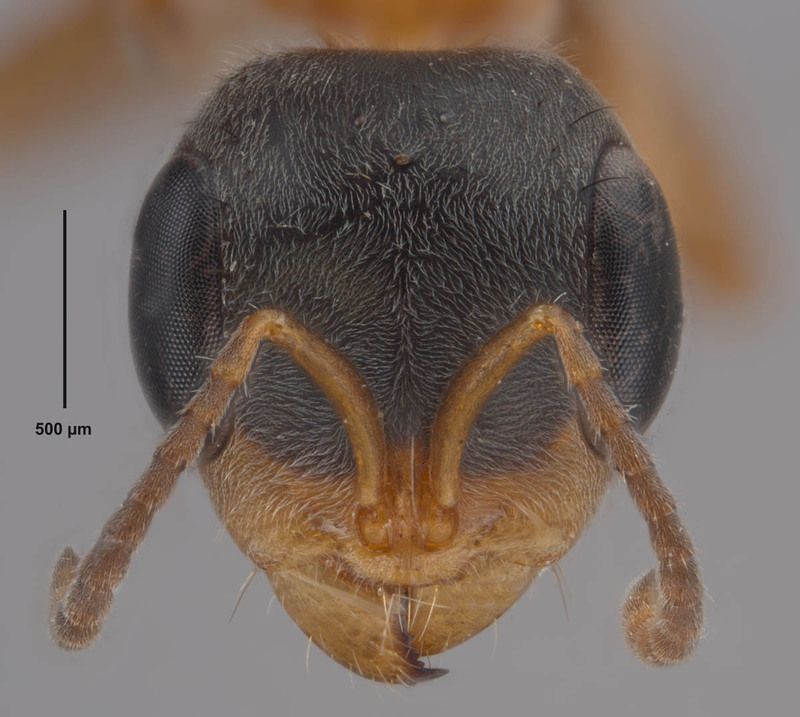 Formica gracilis Fabricius (1804); Combination in Leptalea: Erichson (1839); in Pseudomyrma, Roger, (1862); in Pseudomyrmex (Clavanoda), Enzmann (1944); in Pseudomyrmex, Kusnezov (1953). Senior synonym of Pseudomyrmex longinoda, Brown (1949); of Pseudomyrmex variabilis, Ward (1989); of Pseudomyrmex bicolor, Pseudomyrmex canescens, Pseudomyrmex dimidiata, Pseudomyrmex glabriventris, Pseudomyrmex mexicana, Pseudomyrmex pilosula, Pseudomyrmex sericata, Pseudomyrmex velifera,Pseudomyrmex volatilis and material of the unavailable name Pseudomyrmex guayaquilensis referred here, Ward (1993); of Pseudomyrmex atrinoda, Wild (2007). Pseudomyrmex workers can easily be distinguished from other US genera by the following characteristics: Slender elongate body; extremely large eyes, more than 1.5 times as long as wide; ocelli present; 12-segmented antennae with short scapes; front carinae close togther and antennal insertion points almost touching; relatively short mandibles with 7-10 teeth; and sting present. Pseudomyrmex gracilis is easily separated from all other US species of Pseudomyrmex by it large size, orange and brown coloration, and abundant erect setae. Worker: Large (TL ≈ 8.0–10 mm, HL 1.5–1.74 mm, HW 1.54–1.72 mm, SL 0.73–0.84 mm, EL 0.89–1.05 mm, MeSL 2.08–2.42 mm) (n=5) (MEM specimens). Large ant (TL 8-10mm). Color is variable, especially geographically, ranging from mostly black to concolorous orange to bicolored orange and black. Specimens from the southeastern US are usually bicolored with the antennae, clypeus, pronotum, posterior portion of propodeum, parts of the postpetiole, and legs orangish, and the remainder of the head (including eyes), midportion of mesosoma, part of postpetiole, and gaster dark brownish black. Head about as long as wide, rounded square, widest at edges of eyes; integument matte, with dense, appressed pubescence and numerous erect setae; eyes extremely large (more than ½ the length of the head); located laterally; three small ocelli present; antennal insertion points set closely together; antennae 12-segmented, not clubbed, scape curved outward; clypeus short and wide; mandibles triangular, with two apical teeth followed by minute dentition with a total of 7-10 teeth total. Mesosoma elongate, narrowed; with dense, silvery-white pubescence and numrous erect setae dorsally; pronotum somewhat shiny, remainder of mesosoma matte; metanotal groove distinct; propodeal spines lacking. Waist two-segmented, elongate, matte to slightly shiny, with numerous appressed setae and abundant larger, erect setae; petiole pedunculate, node somewhat flattened, ovate dorsally; postpetiole ovate laterally, rounded triangular dorsally. Gaster with dense, appressed pubescence and a mixture of erect setae that becomes more prevalent near the apex; well developed sting present. Queen: Large, larger than worker (HL 1.77–1.92 mm, HW 1.58–1.74 mm, SL 0.75–0.82 mm, EL 1.05–1.10 mm, MeSL 2.52–3.04 mm) (n=5) (MEM specimens). Conclorous black to bicolored orange and black, with head (except clypeus), mesosoma (except pronotum and posterior portion of propodeum), mid and hind coxae, parts of the postpetiole, and gaster black with the remaider of the body orangish brown (mid and hind legs often with infuscation). 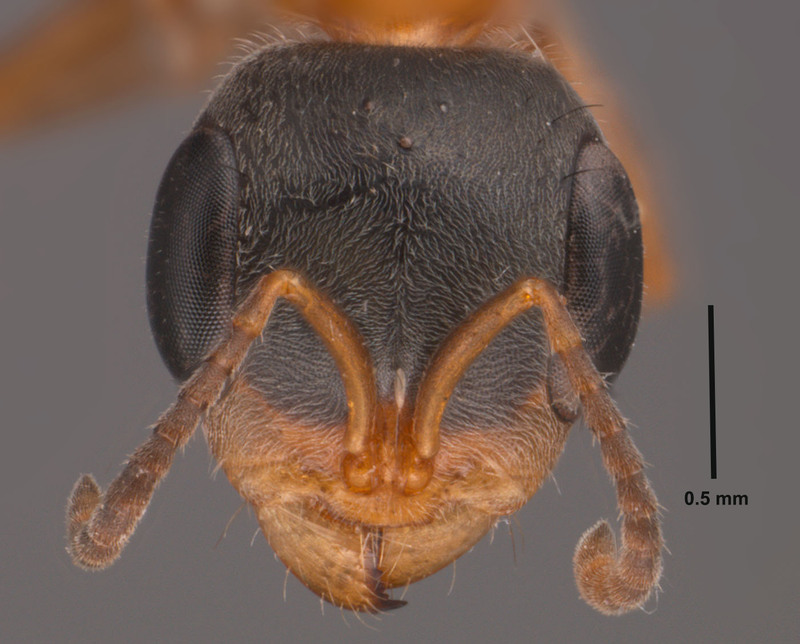 Head rounded rectangular, slightly longer than wide compared to the worker; integument matte with fine punctation; covered with dense, silvery setae and some darker, erect setae; eyes elongate, large, located laterally along the midline of the head; three small ocelli present; a slight medial depression running from the antennal insertion point to the middle ocelli often present; frontal carinae and antennal insertion points set closely together; antennae 12-segmented, lacking club, scape slightly curved outward; clypeus somewhat reduced, anterior margin rounded; mandibles curved triangular, with two apical teeth followed by minute dentition. Mesosoma elongate, thicker than worker; pronotum shiny, remaider of mesosoma slighty matte; with numerous appressed and erect setae; pronotal band visible dorsally; mesonotum flat dorsally; propodeal declivity broadly rounded, propodeal spines lacking. Wings mostly transparent, venation brown; forewing with dark brown pterostigma and closed costal, basal, subbasal, discal, two submarginal, and marginal cells; hindwing with closed costal, basal, and subbasal cells. Waist elongate, two-segmented; both nodes with elongate, erect setae and numerous fine, appressed setae; petiole pedunculate, node somewhat spherical in lateral view, ovate dorsally, with a tubercle-like spiracle present anterolaterally; postpetiole ovate laterally, rounded triangular dorsally, widest posteriorly, much wider than petiole. Gaster matte, with numerous aprressed, whitish setae and longer, dark erect setae (especially apically); well developed sting present. Male: Large (HL 1.32–1.38 mm, HW 1.42–1.60 mm, SL 0.23–0.25 mm, EL 0.80-0.90 mm, MeSL 2.56-2.72 mm) (n=5) (MEM specimens). Bicolored brown and orangish to brown and pale-yellow with the dorsum of the mesosoma, gaster, apex of head, and antennae brown. Head almost circular in shape a mixture of erect and fine, appressed setae; eyes well developed and situated laterally at the midpoint of the head; three distinct ocelli present; mandibles with one apical tooth followed by minute dentition; 12-segmented antennae with a short scape; minute tubercle located between the antennal insertion points. Mesosoma densely covered with slivery-white, erect and appressed setae; four wings present. Waist elongate, thin and two segmented; nodes very low, almost continuous with the gaster. Gaster narrow and elongate with appressed and erect setae. 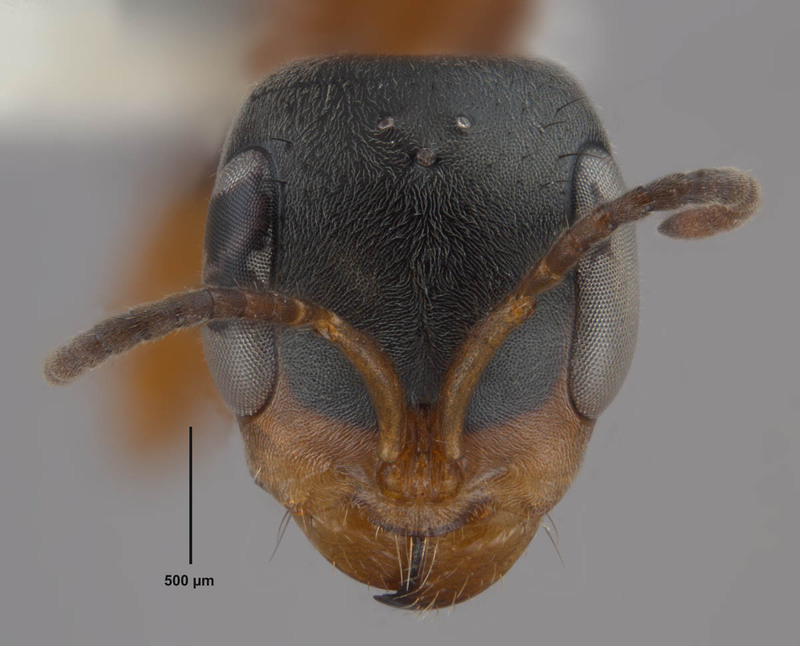 Workers of the graceful twig ant is easily recognized by its elongate, wasp-like appearance, large size (TL 8-10 mm, HW 1.39-2.07), orange and black to entirely blackish or entirely organgish-brown coloration, large eyes (REL 0.54–0.60) ocelli, elongate two-segmented waist, and a well developed sting. Mandible with 7 -10 teeth. Body with numerous fine, silvery-white setae. 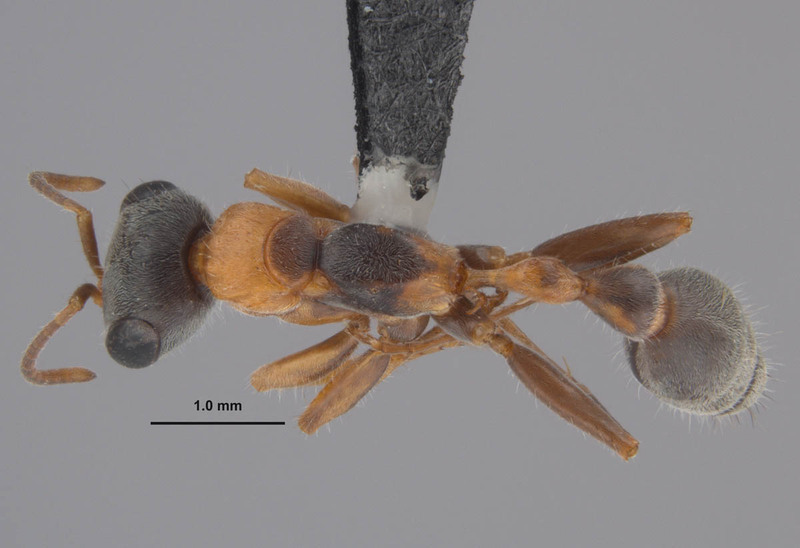 Pseudomyrmex gracilis is an arboreal species that nests in hollow twigs, branches, stems, and grasses in natural habitats, and in crevices in buildings (Wetterer 2010) in urban areas. 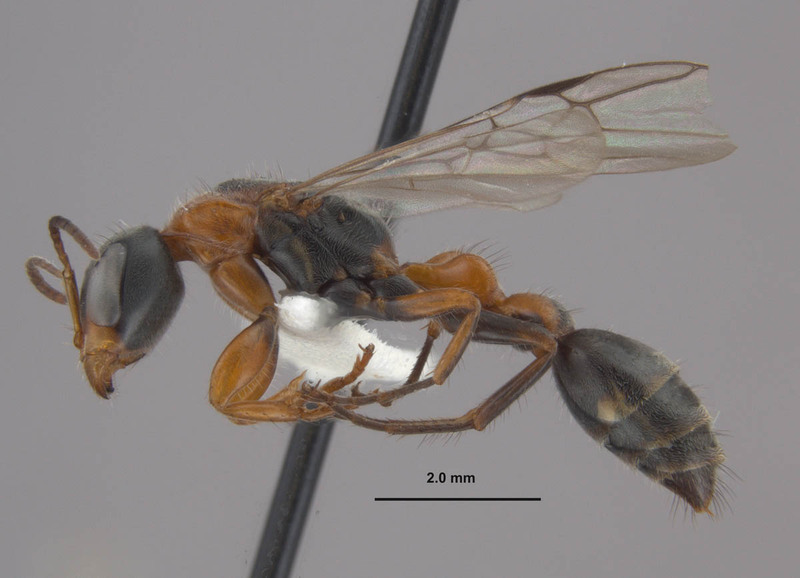 Pseudomyrmex gracilis has also been reported to opportunistically nest in the thorns of ant-acacias (Wetterer & Wetterer 2003), but do not provide much defense for the trees according to Wetterer (2010). According to Ward (1993), P. gracilis may be found in a wide variety of habitats such as mangrove forests, thorn scrub, and rainforests. However, it may also be common in disturbed habitats such as old fields, roadsides, and secondary forests. Colony size is typically small with one queen per colony. Pseudomyrmex gracilis workers and queens may inflict painful stings when disturbed or agitated. Stings usually occur after a worker falls from foliage onto human skin, but also when workers are defending their colony. According to Wheeler and Wheeler (1956), P. gracilis readily defends it host plant or colony by swarming and stinging intruders. , Klotz et al. (1995) reported finding nests of this species in wooden door frames of houses. The fact that this ant has a high likelihood of coming in contact with humans and its painful sting makes it a species worth monitoring. 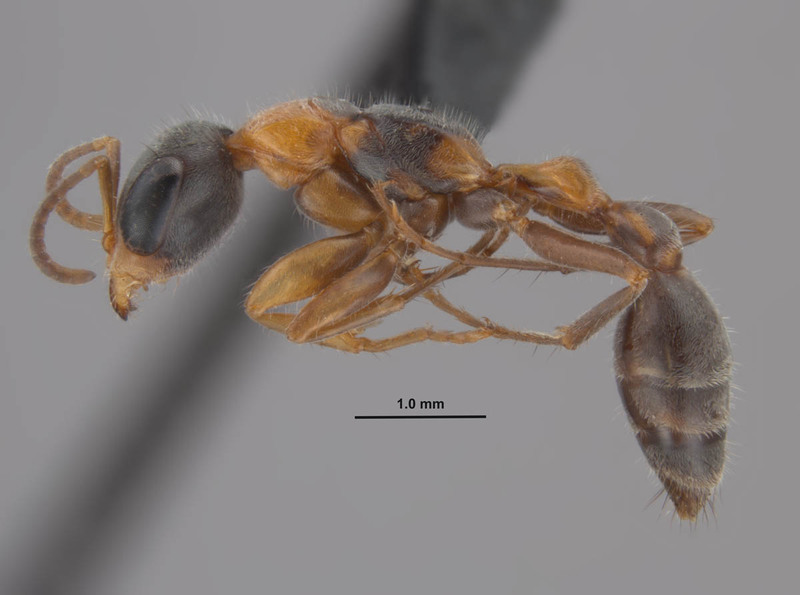 Pseudomyrmex gracilis is an arboreal ant found in parts of South America, Central America, Mexico, and in the US from Texas east to Florida and north to South Carolina in the Coastal Plain. Native Range: Tropics and subtropics of the Neotropics (Wetterer 2010). Neotropical: Argentina, Barbados, Belize, Bolivia, Brazil, Colombia, Costa Rica, Dominican Republic, Ecuador, El Salvador, French Guiana, Greater Antilles, Guadeloupe, Guatemala, Guyana, Haiti, Honduras, Mexico, Nicaragua, Panama, Paraguay, Peru, Suriname, Trinidad and Tobago, Uruguay, Venezuela (antwiki.org). U.S. Distribution: AL, CA, FL, GA, HI, LA, MS, SC, TX (MEM records; Wetterer 2010; Doug Booher, Pers. Comm; antweb.org). Southeastern U.S. Distribution: AL, FL, GA, LA, MS, SC (MEM). Funding for the ant work being done by the MEM in Alabama and Mississippi is from several sources including the National Institute of Food and Agriculture, United States Department of Agriculture, under Project No. MIS-012040, the Mississippi Agricultural and Forestry Experiment Station at Mississippi State University, with support from State Project MIS-311080, NSF Grants BSR-9024810 and DFB-9200856, the Tombigbee National Forest (U.S. Forest Service), the Noxubee Wildlife Refuge, Mississippi Natural Heritage Program Research Grant, USDA Forest Service Agreement No. 08-99-07-CCS-010, the William H. Cross Expedition Fund, and primarily by the USDA-ARS Areawide Management of Imported Fire Ant Project. Additionally, special cooperation has been provided by State Parks, National Forests, National Wildlife Refuges, the Natchez Trace Parkway, and from various private landowners in both Alabama and Mississippi. Bolton, B. 2013. Bolton World Catalog Ants. Available online: http://www.antweb.org/world.jsp. Accessed 25 Novemberl 2013. Erichson, W. F. 1839. Bericht über die Leistungen im Gebiete der Naturgeschichte während des Jahres 1838. IX. Insecten. Archiv für Naturgeschichte 5(2): 281-375. Enzmann, E. V. 1944. 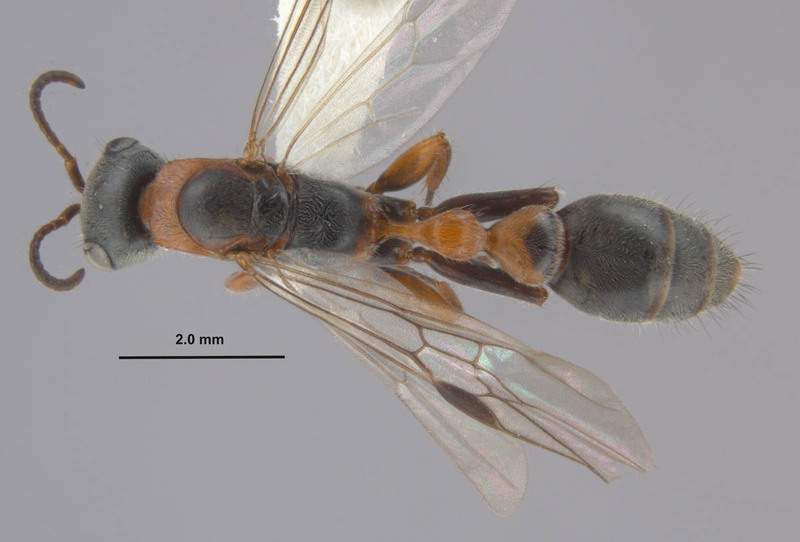 Systematic notes on the genus Pseudomyrma. Psyche (Cambridge) 51: 59-103. Kempf, W. W. 1961. Estudos sôbre Pseudomyrmex. III. (Hymenoptera: Formicidae). Studia Entomologica 4: 369-408. Klotz, J. H., J. R. Mangold, K. M. Vail, L. R. Davis Jr., and R. S. Patterson. 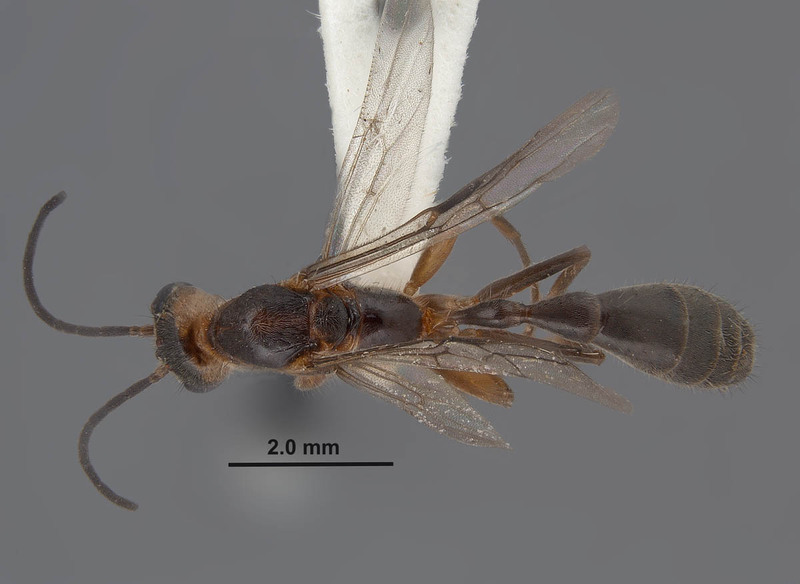 A survey of the urban pests (Hymenoptera: Formicidae) of Penisular Florida. Florida Entomologist 78: 109–118. Kusnezov, N. 1953. La fauna mirmecológica de Bolivia. Folia Universitaria. Cochabamba 6: 211-229. Roger, J. 1862c Synonymische Bemerkungen. 1. Ueber Formiciden. Berliner Entomologische Zeitschrift 6: 283-297. Ward, P. S. 1989. 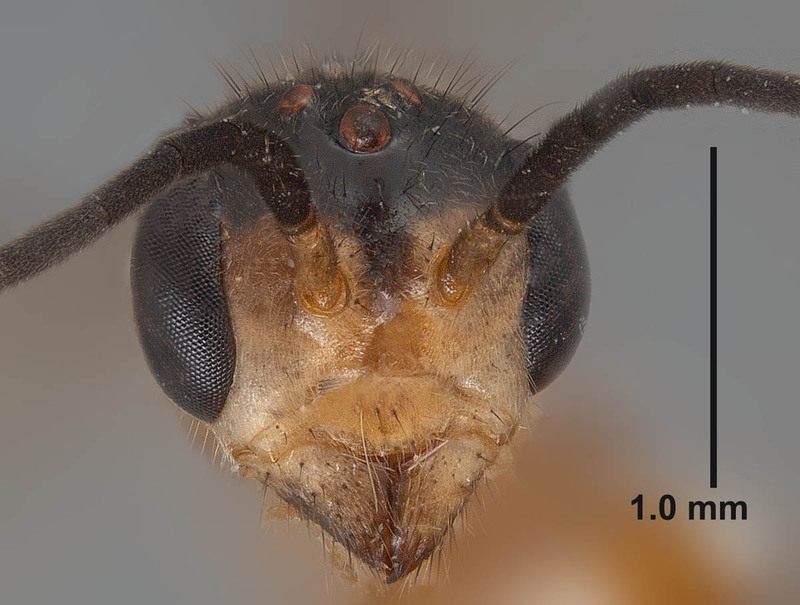 Systematic studies on pseudomyrmecine ants: revision of the Pseudomyrmex oculatus and P. subtilissimus species groups, with taxonomic comments on other species. Quaestiones Entomologicae 25: 393-468. Ward, P. S. 1993. Systematic studies on Pseudomyrmex acacia-ants (Hymenoptera: Formicidae: Pseudomyrmecinae). Journal of Hymenoptera Research 2: 117-168. Wetterer, J.K., and A.L. Wetterer. 2003. Ants (Hymenoptera: Formicidae) on non-native Neotropical ant-acacias (Fables: Fabaceae) in Florida. Florida Entomologist 86: 460-463. Wetterer, J. K. 2010. Worldwide spread of the graceful twig ant, Pseudomyrmex gracilis (Hymenoptera: Formicidae). Florida Entomologist 93: 535-540. Wheeler, W.M. 1942. 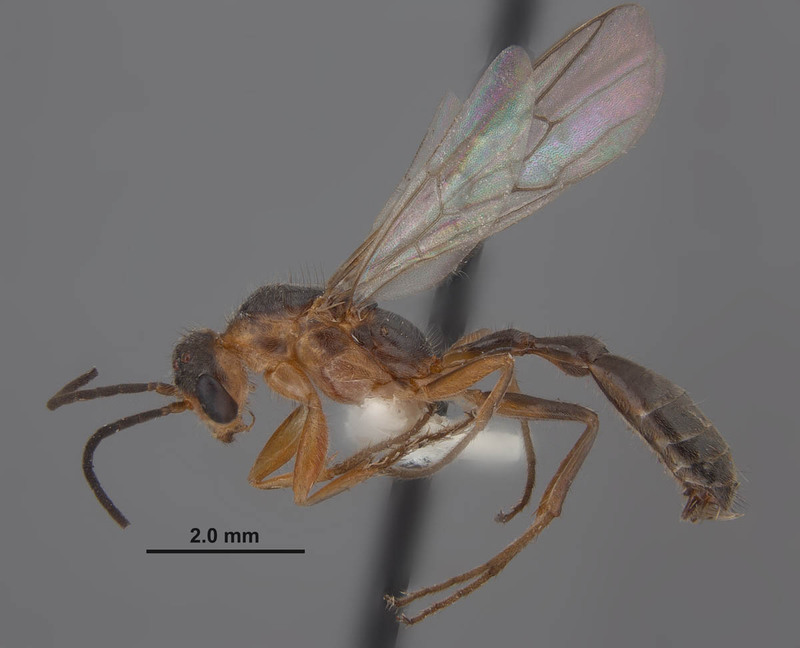 Studies of Neotropical ant-plants and their ants. Bulletin of the Museum of Comparative Zoology 90: 1-262. Wheeler, G.C., J. Wheeler. 1956. The ant larvae of the subfamily Pseudomyrmicinae (Hymenoptera: Formicidae). Annals od the Entomological society of America 49: 374-398.